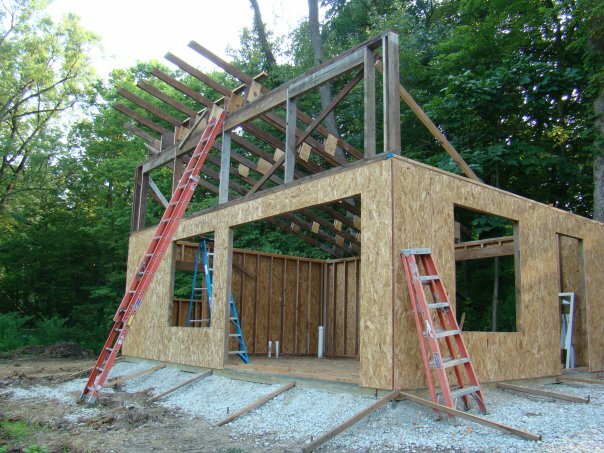 We began building the cabin in the summer of 2009. We had just moved out of our rental house and in with my boyfriend’s parents. So needless to say, we wanted to build something as quickly as possible. 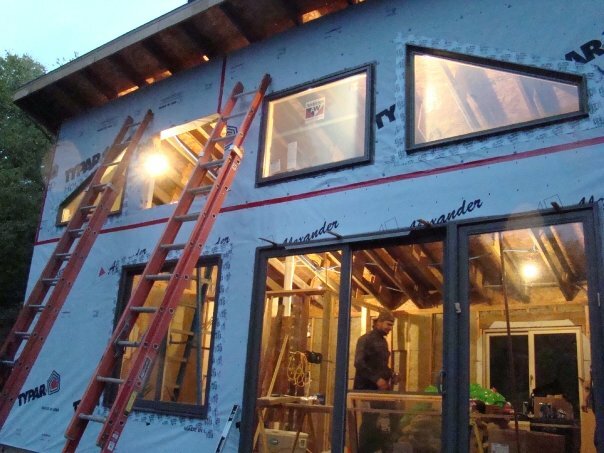 🙂 We knew we eventually wanted to build a house on the land but decided to do something smaller and more temporary until we were prepared to do so. 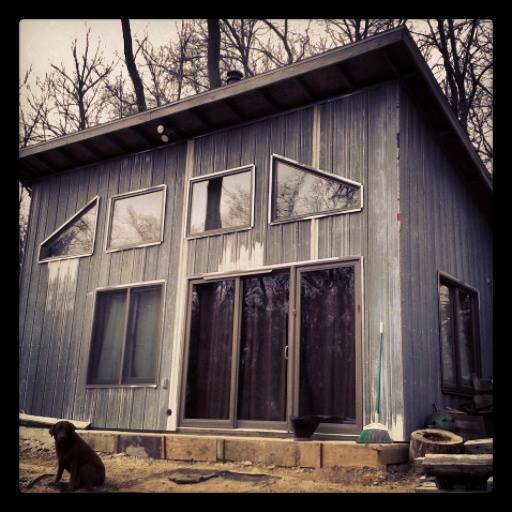 The cabin has radiant floor heat & concrete floors. We chose to use concrete so we can break it up later incase we decide to move it. It’s also on a gravel foundation for this reason. 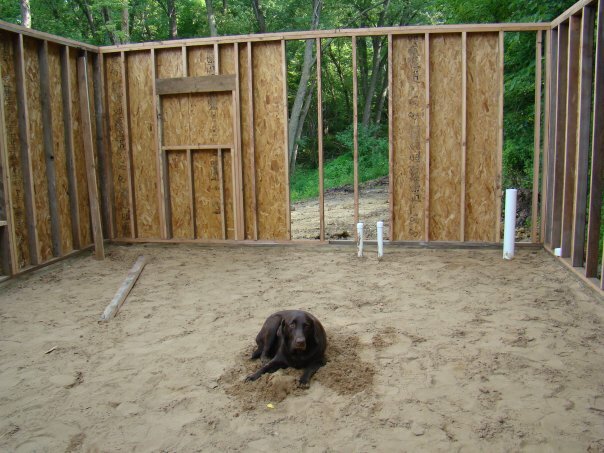 When we do start building our new house we’ll probably use the cabin as part of it. We were lucky enough to have a friend who came across some windows and a sliding door that were going to be tossed out. I still can’t believe someone would just throw something like that away! 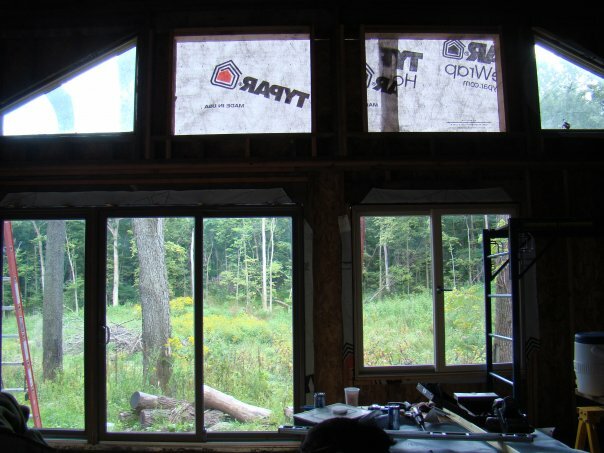 We wanted lots of windows to allow for a lot of natural lighting. We hardly ever have to turn our lights on during the day and we save a lot on our electric bill. We also installed a tankless water heater. They’re pricey but they save so much water & money. Our electric bills have ranged from as low as $12.00 up to about $35.00 a month. 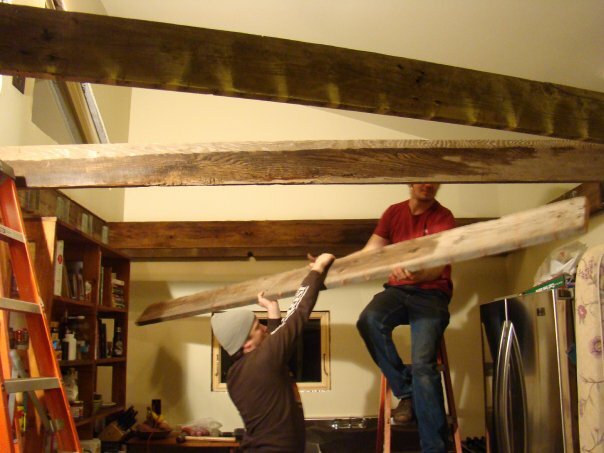 We built a loft above the kitchen space from old barn boards. 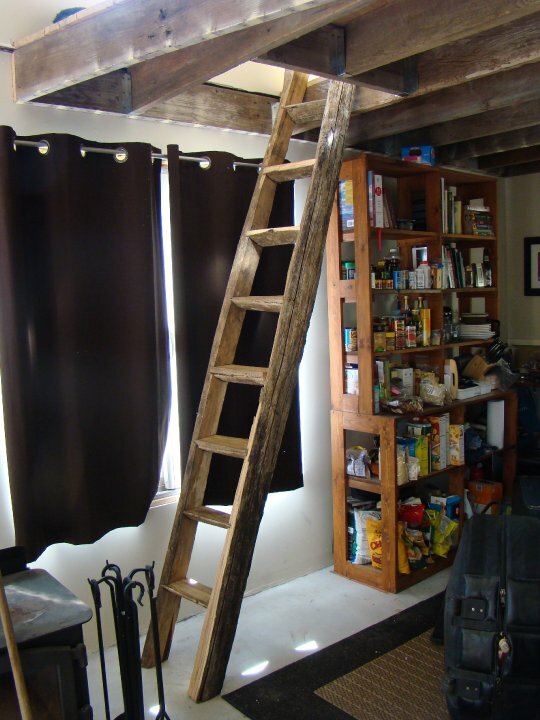 My boyfriend & his dad built the loft ladder with a log off our land. We also put in a woodstove to save money. It is definitely one of my favorite parts of the cabin. 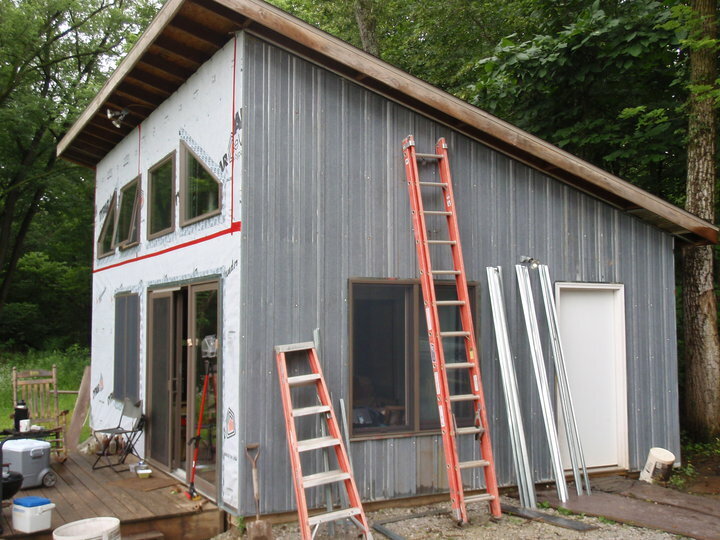 We re-used some tin for the siding. Recycled & free! 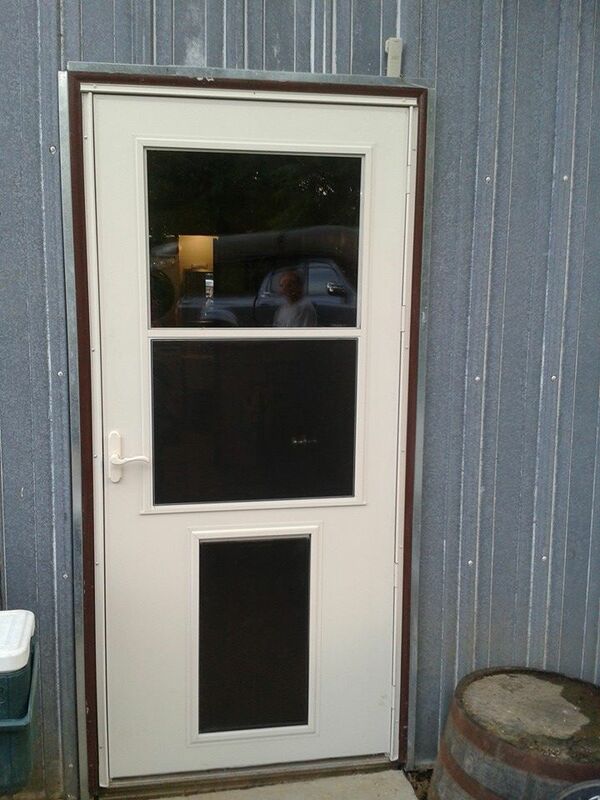 And of course we had to get a doggie (& cat) door. So that’s the cabin! I’ll be sharing more about the interior and how I’ve decorated it in my posts. Keep checking back!